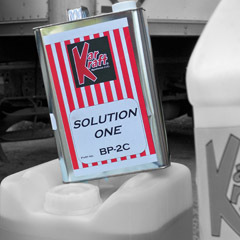 Solution One is the ultimate engine compartment cleaner. Degreases engines with ease. Contains metal brightening agents for a "like new" look. Also use on door jambs, hinges, wheel wells, aluminum and painted wheels. Great for road tar removal.